GoXtra News: Ramaphosa's E-Toll Deadline! 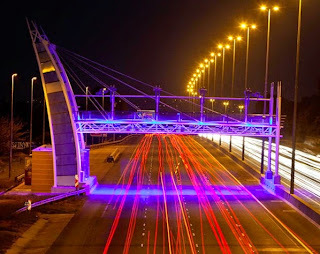 Times Live reports that South Africa's deputy President Cyril Ramaphosa will announce an e-tolls decision today which is intended to end years of bickering between SA National Roads Agency Limited and Gauteng motorists. Transport Minister Dipuo Peters told parliament yesterday that fewer motorists were registering as new e-toll users, and thanked "law-abiding" road users for paying. "Notwithstanding the unfortunate pronouncements and continuous encouragement by the detractors of the project, law-abiding citizens have continued to register and pay - they are doing the right thing," she said. She also revealed that monthly expenditure for Sanral stood at R66-million, with the bulk of the money going to toll operations and maintenance at R47-million. Sources at the SANRAL offices in Pretoria reliably informed us last week that the building has been empty due to the pending decision - "As soon as we the decision is taken some of our staff will be back at work," said one of the staff members. The call centre was empty due to the pending decision.